We are an independent, 'fee-only' financial services firm specializing in the field of personal Financial Planning, Investment Advisory & Management and Consulting services with a deep commitment to fulfilling our client's financial advisory needs. We do not represent, hold any affiliation or are linked to any financial institutions like banks, insurance companies, asset management companies, NBFCs, etc. for any kind of selling or marketing of any financial products. We do not receive any remuneration, brokerage, incentives, commissions or any consideration by whatever name called from any financial product providers on the suggested financial products/transactions that may result from the implementation of our suggested financial plan, investment advisory & management and/or consulting services. As an Independent Financial Planning firm, we help our clients through the process, or direct them where to go online to get competitive rates and do it themselves, as we are not in the business of selling any financial or insurance products. Our income is only from the fees agreed and paid by the clients for the services rendered to them. We research whole of the market and as far as possible depending upon the product availability to suit your requirement, we only suggest low cost / zero commission products such as DIRECT plans in mutual funds, Exchange Traded Funds, Portfolio Management Services (PMS), Advised stock portfolios, ONLINE policies for pure term life insurance, health/medical insurance, other general insurance, etc. We work closely with clients to ensure that their interests are at the absolute centre of everything we do. We believe in building strong relationships with each individual client through the development of strong long-term relationships. The understanding and trust that builds up helps us to give sensitive and appropriate advice at times when major financial decisions are being made. Whether we're advising you on investments, tax planning, retirement planning, insurance, and many other things, we're under no pressure from any parent company to recommend specific products. This places us in a unique position to deliver you totally unbiased and professional advice. Our truly personal approach is based on building long-term relationships. We get to know you, your situation and your goals. We then recommend the right mix of services for you and stay with you for the long haul. All the expertise in the world would mean nothing if we weren't able to tailor our advice to your specific needs. That's why our approach is built around relationships. Before we make any recommendations, we find out about the risks that worry you; about the opportunities that excite you; about where you want to be in ten, twenty, thirty years' time, about what you want to do for yourself, for your family or may be for society, for needy or anything else you might want to do. Once we have a sense of your situation, your tolerance for risk, and your wealth and lifestyle goals, we start working on a personalised financial strategy. And we'll be here for as long as you need us. We are registered as RIA (Registered Investment Adviser) with the SEBI (Securities and Exchange Board of India), the regulator for securities market in India, as per the SEBI (Investment Advisers) Regulations, 2013. Registering with SEBI gives the adviser a license to practice advisory business. On and from the commencement of these regulations, no person shall act as an investment adviser or hold itself out as an investment adviser unless he has obtained a certificate of registration from the Board under these regulations. Registered Investment Advisers or RIAs are individuals, corporate bodies, or partnership firms that are, for compensation, engaged in the act of providing advice and making recommendations/suggestions to their clients. One of the things that make RIAs different from others is that they are bound by a fiduciary duty. Fiduciary duty means that they are required to act in the best interests of their clients. Investment adviser shall ensure that all investments on which investment advice is provided is appropriate to the risk profile of the client. An investment adviser shall not receive any consideration by way of remuneration or compensation or in any other form from any person other than the client being advised, in respect of the underlying products or securities for which advice is provided. What next? 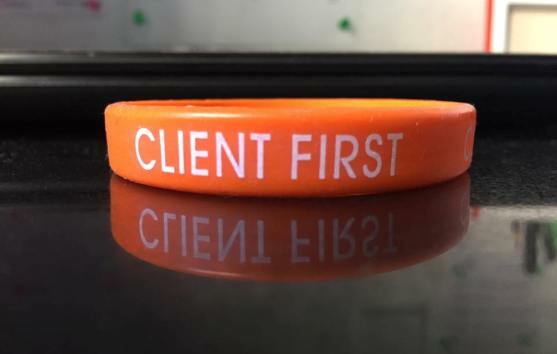 How to become a Client? Our approach can help you invest appropriately to maximise the probability of reaching your financial goals, reduce your tax exposure, analyse your insurance needs and help you to plan successfully the transfer of your wealth to your next generation or as per your wish. If you think this method is logical and understand the worth of creating a holistic financial roadmap that enables you to maximize your wealth and minimize mistakes in the consequent years, then maybe we can work together. The first step to becoming a client is to get in touch with me for a no obligation meeting. It's just a way to find out how we may be able to assist you and then we will guide you through the process.